With his team in fine form, Arsenal boss Unai Emery has reportedly been handed another boost as playmaker Mesut Ozil is back in full training. The 29-year-old missed the game against Fulham prior to the international break with a back problem, albeit the Gunners didn’t need him in the 5-1 rout at Craven Cottage. Nevertheless, given the quality that he can offer in the final third and with the fixture schedule being packed over the coming weeks after the conclusion of the current break, Emery will be delighted with the progress he’s making in his recovery from the injury. As per freelance injury analyst Ben Dinnery in his tweet below, the German ace has returned to full training this week, and that in turn should mean he’ll be available for selection against Leicester City on October 22. Ozil will of course be eager to avoid any setbacks between now and then, as he’ll look to build on his tally of three goals in eight games so far this season while his wait for his first assist of the campaign goes on. Along with the likes of Henrikh Mkhitaryan, Pierre-Emerick Aubameyang and Alexandre Lacazette though, Emery will hope that the quartet and the rest of his side continue to fire them towards their objectives as they’re currently on a nine-game winning streak in all competitions. 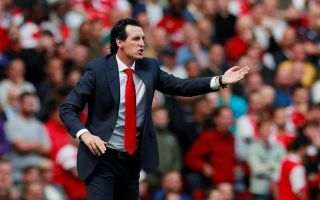 With seven games between October 22 and November 11 though, the quality and depth of Emery’s squad could be seriously tested.